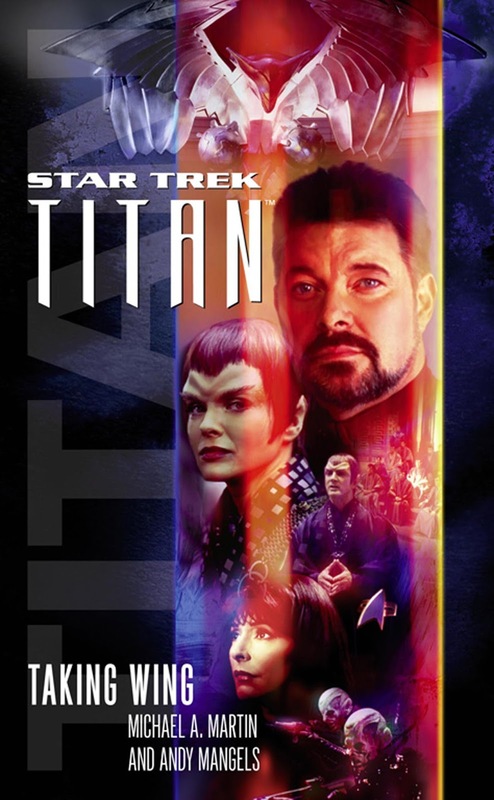 In the 2002 movie Star Trek Nemesis it was revealed Captain Riker would be taking command of a starship of his own, the USS Titan. Almost nothing else was revealed about the ship on-screen, other than that Deanna Troi would be joining Riker on the new ship, and their first mission would be to deal with the fall-out on Romulus after the events of the film. With the TNG-era done on-screen, the door was left open for new adventures of this new ship in Star Trek fiction, and Pocket Books made sure those adventures came, starting in 2005 with new book series featuring Riker's new ship, Star Trek: Titan. All designs will be judged by the Star Trek editorial staff at Pocket Books, together with Star Trek designers Doug Drexler, Michael Okuda, and Rick Sternbach; Associate Producer, Star Trek: Enterprise David Rossi; Senior Director of Licensed Publishing for Viacom Consumer Products Paula M. Block; and Manager of Licensed Publishing for Viacom Consumer Products John Van Citters, all of whom are fully qualified to apply the stated judging criteria. Entries will be judged on the basis of originality (25%), execution (25%), consistency with the U.S.S. Titan Concept Notes (25%), consistency with Star Trek Starfleet style (25%). The winning design will be published in an upcoming Star Trek: Titan novel, and will be used as the basis for cover art on the same book. The winning designer will be credited on the novel's copyright page. In the event that there is an insufficient number of submissions received that meet the minimum standards determined by the judges, the prize will not be awarded.